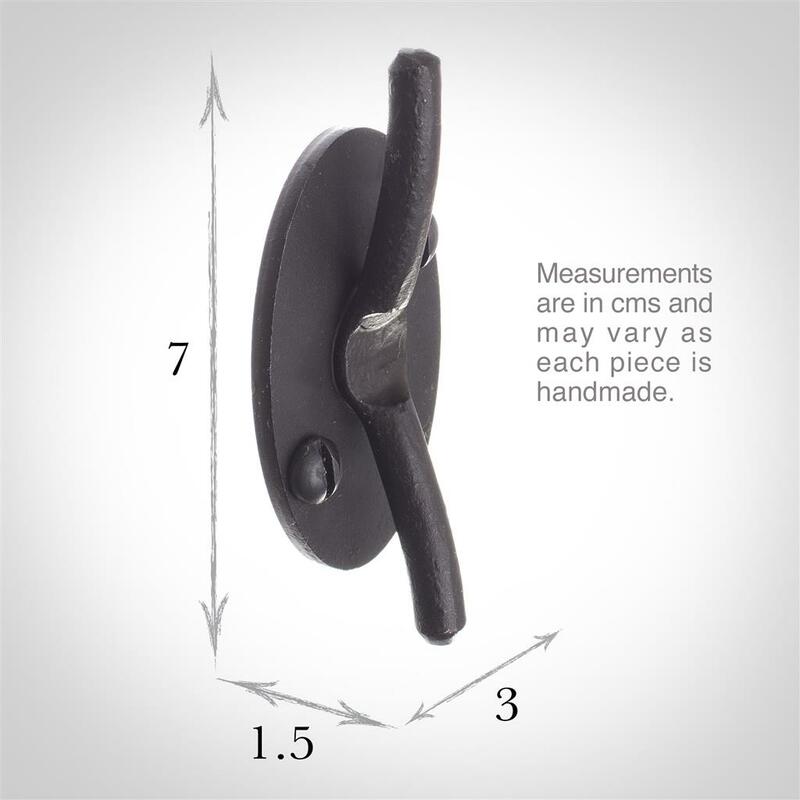 Complete your window dressing with our beautifully hand forged window cleat in our traditional black Beeswax finish. Although small in size, our cleats are made from the highest grade steel which gives them a wonderfully tactile, weighty appearance. 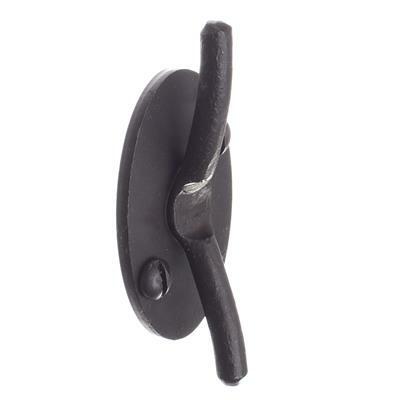 The cleat can be fitted vertically or horizontally and used to hold the cord from any blind type. At Jim Lawrence, we believe that beauty is in the detail, which is why we invest a lot of time and effort making sure that even the smallest of our fixtures and fittings look as good and are as high quality as our largest. 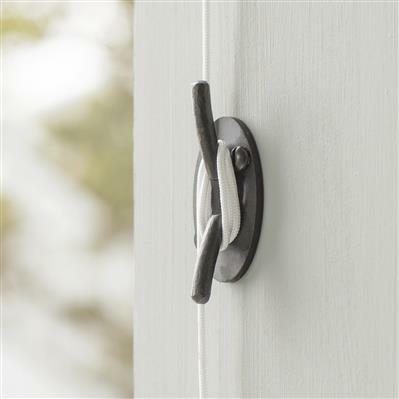 Our cleats come in a variety of finishes to complement our gorgeous range of curtain poles and window furniture so that you can achieve a uniform look throughout your home. Beeswax is a traditional technique used since Tudor times. 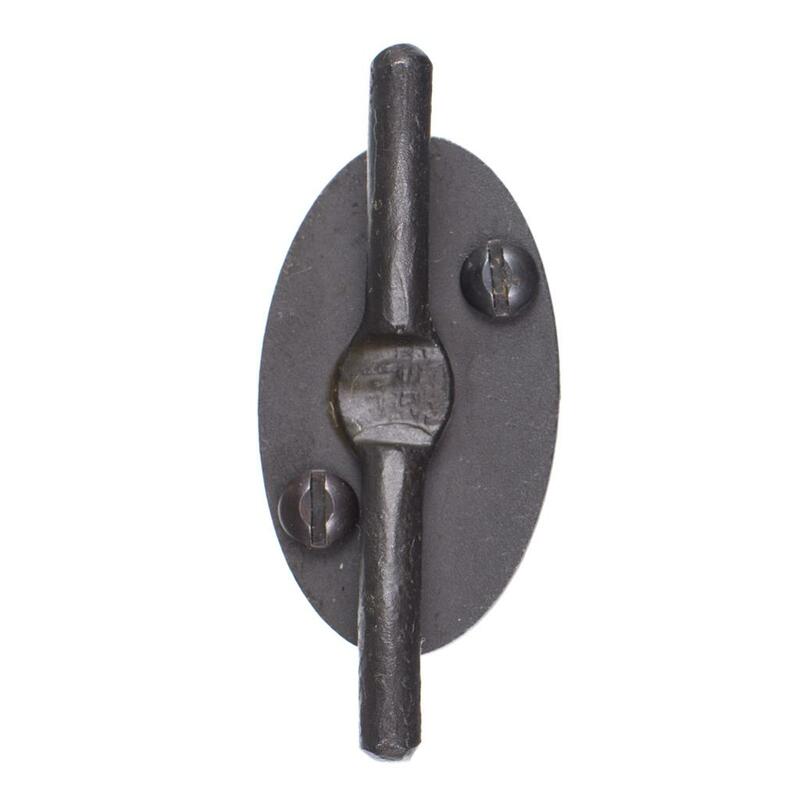 The metal is heated until it darkens and then dipped in natural beeswax which gives is a lovely soft black wrought iron effect which looks fabulous in any traditional or contemporary interior. All our hooks and cleats are supplied with fixing screws in the same finish. Kindly note, we do not recommend the beeswax finish for use in a humid environment, as it is harder to maintain and may rust. We feel that Matt Black is the preferable option.